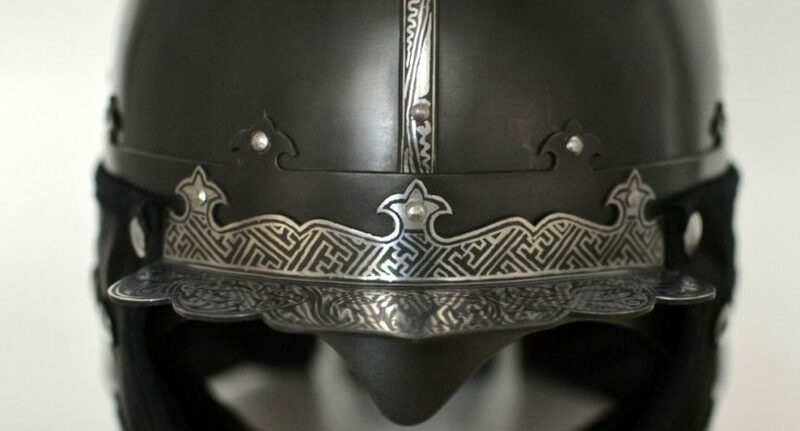 This helmet is based on several well-preserved examples from the Joseon dynasty that bear similar decoration. 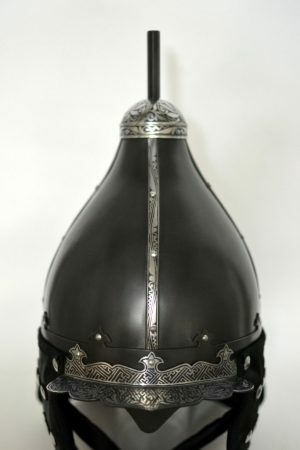 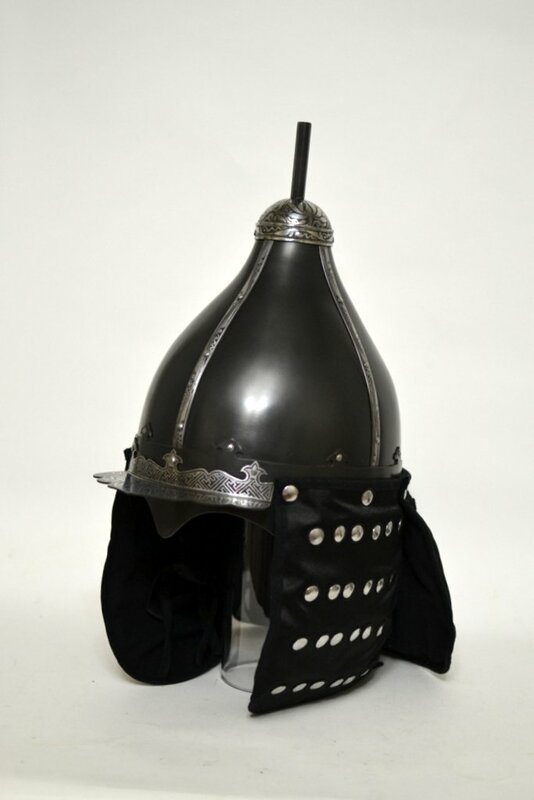 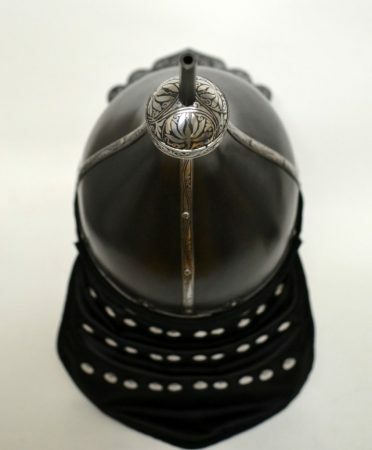 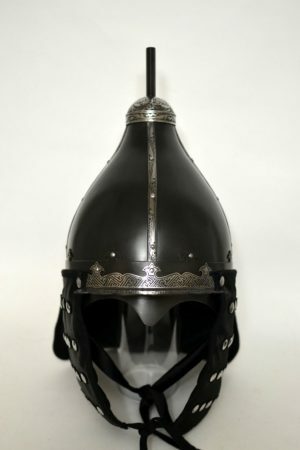 Helmets of this form were used in Tibet, Korea, China and Mongolia with remarkably little change for a thousand years. 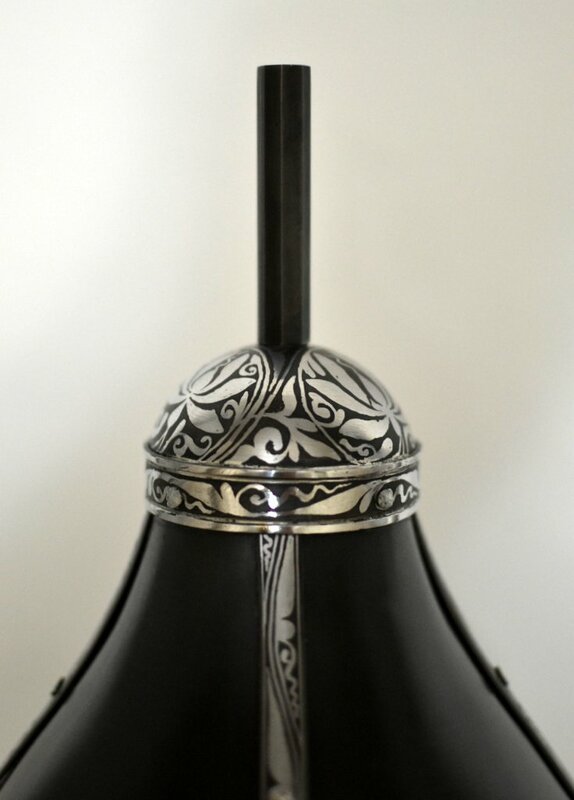 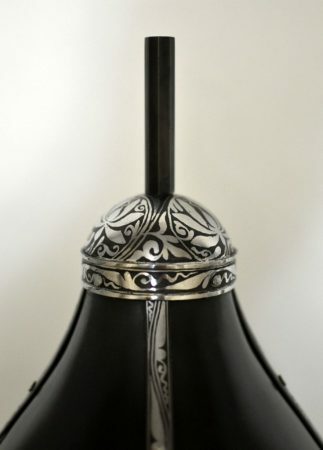 The example shown is made of steel that is decoratively etched in geometric and organic patterns of contrasting polished and blackened steel. the cheek and neck flaps are silk-faced brigandine with four different cloth layers to optimize comfort and durability. 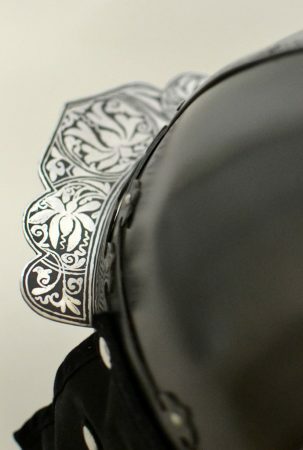 There are many possible variations on this theme that we would be happy to discuss.